Why the Bay of Biscay is Dangerous for Ships? Dating back to WWII . . . Maybe the Blast Wave Accelerator? It’s not now that the Bay is feared. It has been an “age old story dating back to the beginning of the Second World War”. Located between France and Spain, the bay has been dangerous and often feared. The German U-boats ruled the Bay and many British and American ships were reported sunk that entered her waters. There were as many as 15,000 casualties and another 5,000 ships that sunk. Despite the danger faced by the ships, they had no choice but to take the route so as to reach with supplies as well as troops to France. Why the Bay of Biscay is Dangerous for Ships? Located in the Celtic Sea, a gulf of the northeast Atlantic Ocean is called the Bay of Biscay. It is located in the northern coast of Spain and the western coast of France and is named after the Spanish province of Biscay. The average depth of the bay is 1745 meters and the maximum depth is 2790 meters and parts of the continental shelf extend into the bay those results into fairly shallow water at places. Some of the fiercest weather conditions of the Atlantic Ocean can be witnessed in the Biscay Bay. The area is home to large storms during the winter months and there have been countless ships wrecks reported from the area as a result of the gruesome weather. The late spring and the early summer in the area are cool and cloudy and large fog triangles fill the south-western part of the inlet. The weather in the Bay of Biscay is the most vital thing to be worried and talked about. As winters begin, the weather turns harsh and severe. Depressions are formed and enter the bay from the west. They eventually dry out and are born again in form of thunderstorms. They also bring in constant rain in the region often bringing thunderstorm that look like hurricane and crash at the bay. One such example can be the Klaus Strom. The Bay of Biscay has always been feared by the seamen. 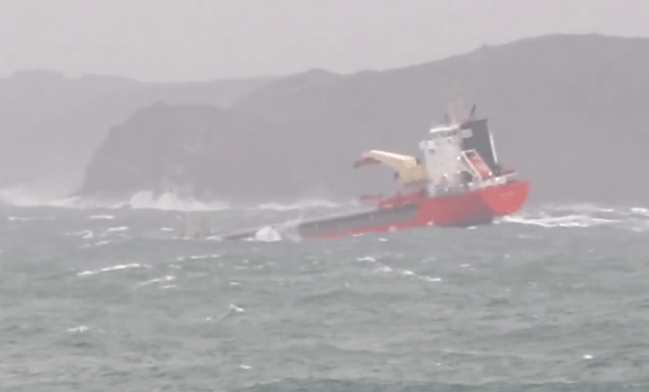 There have been several incidents reported of merchant vessels loosing direction in Biscay storms. At few instances lives have been lost as a result. However, with improved ships and other amenities, the accidents have been reduced to considerable amounts.Ships going to the Mediterranean chose options like the French river rather than taking the route from Biscay Bay due to the legendary reputation of the bay. Many times, the Atlantic swells form near the coasts and often make many ports inaccessible. There have been quite a few incidents in the recent years of ships facing difficulties, sometimes resulting in grave consequences. In May 2000 two yachts faced disastrous journey even when they left with no signs of bad weather in the Bay of Biscay. It’s not now that the Bay is feared. It has been an age old story dating back to the beginning of the Second World War. Located between France and Spain, the bay has been dangerous and often feared. The German U-boats ruled the Bay and many British and American ships were reported sunk that entered her waters. There were as many as 15,000 casualties and another 5,000 ships that sunk. Despite the danger faced by the ships, they had no choice but to take the route so as to reach with supplies as well as troops to France. Various kinds of Dolphins and whales are seen in the waters of Bay of Biscay. Another commonly found animal species are Cetaceans. The greatest area to spot larger cetaceans lies in beyond the continental shelf, in the deep waters. Other seabirds can also be seen across the bay. The alga Colpomenia peregrina was found and first noticed in the bay way back in 1906.